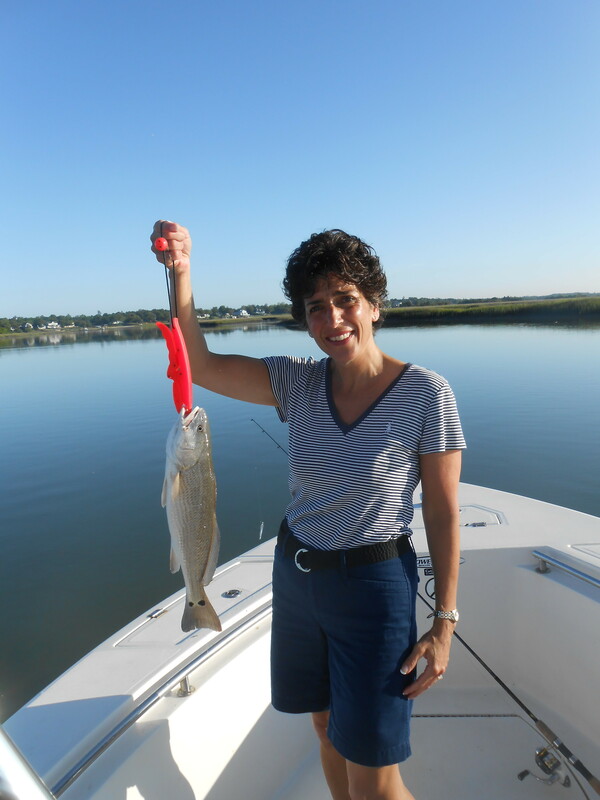 What’s happened on the water this past week… The Larger Red Drum have shown up in good numbers and are holding on the Jetties and docks close to the inlets. The Large Sheepshead have arrived as well and can be found on submerged rock piles, jetties, pilings and bridges. The Sheepshead are QUICK to bite a live fiddler crab (be sure to have a bucket full as they don’t last long on your hook!) 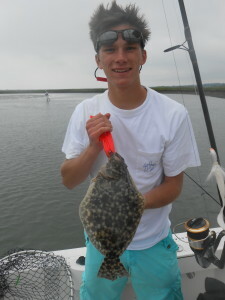 The push of Inshore Flounder is getting stronger as the catch ratio has increased over the past week or two! We have been catching most of our flounder on Berkeley Gulp with a little extra ProCure on the baits (the flounder find this combo irresistible). There has been an explosion of baitfish over the past week as well with the Threadfin Herring showing up at our inlets, jetties & near-shore structures (one of my favorite live-baits to use for BIG Red Drum, Cobia & King Mackerel. Nearshore Fishing Carolina Beach, Topsail Beach & Wrightsville Beach: The Spanish Mackerel Bite I rate as good, though not as “HOT” as the past two weeks. We are catching more Spanish on spoons and plainers now as opposed to the YoZuri Deep divers they were keyed in on the past few weeks (the baits they are feeding on are smaller and staying deeper now so adjust your approach to “match the hatch”). The Bluefish have been on FIRE with many days of filling the cooler (though not as desirable as many of our inshore and nearshore fish, the bluefish are good table fare if they are put on ice immediately, prepared correctly and not frozen). The blues are literally eating anything you throw at them weather it’s a plug (YoZuri, GotCha, etc) or softplastics on a jighead… Though I have not tried it, you could probably put a carrot on you hook and catch all you want.. lol). The Cobia are still around feeding on the LARGE baitballs of Menhaden and Threadfin Herring. They can be located on the beaches following the bait, the jetties and the nearshore wrecks and structure. Toss a Live Blue Crab, Live Baitfish or large Jig to them and HOLD ON! If you are into Shark Fishing… It’s going STRONG right now. There are sharks at the jetties and nearshore structure feeding on both live and dead baits! We even caught a shark on a Clarkspoon trolling off of Wrightsville Beach this past week (go figure!). There have been LARGE Schools of False Albacore feeding 1 – 3 miles off of Wrightsville Beach, Carolina Beach & Topsail Beach as well. These Tuna are lots of fun on light tackle and we have been chasing the schools and throwing diamond jigs to them with great success! Inshore Fishing Topsail Beach, Wrightsville Beach & Carolina Beach: The Inshore Fishing has been Good as well with many days of Double Digit Flounder, Drum & Trout and a couple of “Inshore Grand Slams”…. It’s all about presentation, retrieve speed, location and the right baits. I have been focusing more on the salt-flats, deep holes and near-inlet estuaries as the fish have concentrated in these locations as the move into our Inshore waters. We are catching most of our Speckled Trout on white curly-tale grubs with a pink Blue Water Candy Jighead (as light as you can throw because the trout like the hit the bait when its fluttering/ falling through the water column). I have found large schools of “Specks” in the swift-water deep holes in the flats behind our inlets. Once you hook one… keep fishing the same area as they are a schooling fish that will have “friends”. The Red Drum are really moving around on the tides now as they can be caught in just about all of our inshore waters. We have caught the majority of our Red Drum this week in the salt-flats casting artificials to them (found some “Tailing” today in the backwater ☺). I prefer to use any artificial that mimics a “molting shrimp” and sent them heavy with the Shrimp Scented ProCure; however, you can still catch them on Fresh Cut Bait under the docks. We have seen a larger class of drum this week with most in the “slot” and a few over! The Black Drum are here as well, we are “accidentally” catching them while Red Drum & Flounder Fishing (caught some really nice sized ones this week!). The Founder are just about everywhere as well with many being caught in the inlets coming in from the ocean. Fishing the lower incoming tides where there is both bait and sandy bottom. We are picking of many flounder in the backwater estuaries as well; however, the catch ratio for the past week has been about 4/1 (throwbacks to keepers respectively). 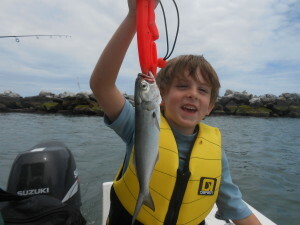 If you want to get out, fish and have a great time on the water give us a call and we can “Have Fun & Catch Fish!” We are also booking many Family & Kids Fishing Charters now that the youngest anglers are out of school! Be sure to ask Capt. Trev about your Family and Kids Fishing Charter options as we run these trips a little differently than our “Serious Angler” trips as we do offer a “Constant Action Charter” tailored to the Family! This entry was posted in Fishing Reports, ProFishNC News, Uncategorized on June 8, 2013 by admin.